I finally got a chance to put the new wheels on the Yaris this past weekend. 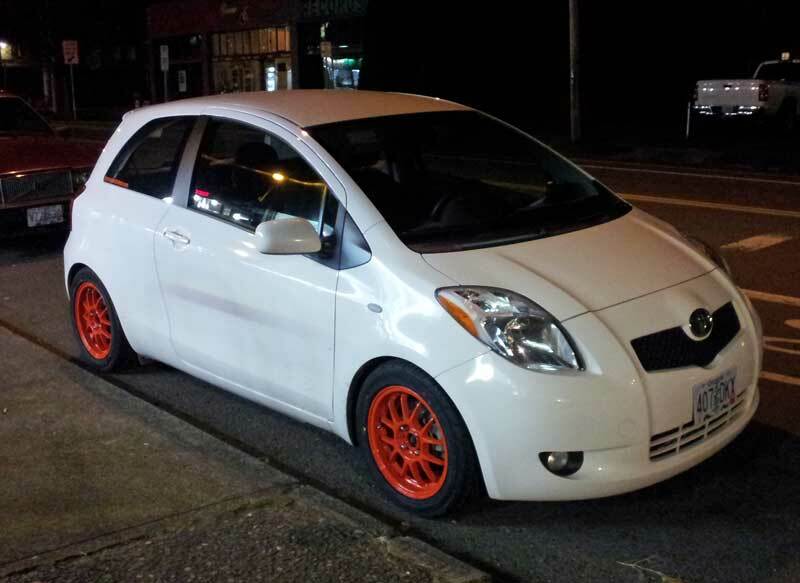 As previously mentioned, they are 15"x6.5" Konig Daylites (+40 offset) wearing 195/55/15 Yokohama S.Drive tires. The wheels only weigh 12 lbs., which is great, and the S.Drives are decidedly stickier than the previous Falken Ziex 912 all-season tires I had on my last wheel. First impressions of the S.Drives are very good. They're quiet on the highway and grip nicely under spirited driving. I've probably got about 30 miles on the setup right now. I'll get some more photos when the car is clean!